Neil Richard Gaiman was born November 10, 1960 in Porchester, England. He attended school in southern England before moving to London, where he worked as a freelance journalist in the early ’80s. His first stories sold to gaming and men’s magazines in 1984 and ’85, and his first work in the SF field was Ghastly Beyond Belief, a book of humorous SF quotations (1985, with Kim Newman). His career in comics began with Violent Cases (1987), but he is best known for his ground-breaking Sandman comic series, which began in 1989 and includes ‘‘A Midsummer Night’s Dream’’ (1990), the only comic to ever win a World Fantasy Award. He still does occasional comics work, including The Sandman: Endless Nights (2003), the 1602 miniseries (2004), Hugo finalist and British Fantasy Award winner Batman: Whatever Happened to the Caped Crusader? (2010), and the forthcoming Before Sandman miniseries. 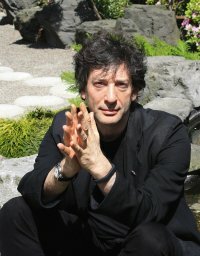 Gaiman’s adult novels include Good Omens (1990, with Terry Pratchett); Neverwhere, the novelization of his BBC dark fantasy TV miniseries, which was recently adapted into a BBC radio play; Stardust (1998), illustrated by Charles Vess; Hugo, International Horror Guild, and Locus Award winner American Gods (2001) and quasi-sequel Anansi Boys (2006); and The Ocean at the End of the Lane (2013). His short fiction includes World Fantasy Award finalists ‘‘Troll Bridge’’ (1993), ‘‘Shoggoth’s Old Peculiar’’ (1998), ‘‘October in the Chair’’ (2002), ‘‘Odd and the Frost Giants’’ (2008); Locus Award winners ‘‘Closing Time’’ (2003), ‘‘Forbidden Brides of the Faceless Slaves in the Nameless House of the Night of Dread Desire’’ (2004), ‘‘Sunbird’’ (2005), ‘‘The Witch’s Headstone’’ (2007), ‘‘An Invocation of Incuriosity’’ (2009), and ‘‘The Thing About Cassandra’’ (2010); British Fantasy Award nominee ‘‘The Problem of Susan’’; Hugo finalist ‘‘How to Talk to Girls at Parties’’ (2006); Hugo Award winner ‘‘A Study in Emerald’’ (2003); and Locus Award and Shirley Jackson Award winner ‘‘The Truth Is a Cave in the Black Mountains’’. Some of his short work has been collected in Angels and Visitations: A Miscellany (1993), Smoke and Mirrors (1998), and Fragile Things (2006). He wrote a series of 12 short stories, A Calendar of Tales (2013), prompted by reader suggestions. He has also written many works for children and teens, including Hugo, Stoker, Locus, and Nebula Award winner Coraline (2002); Carnegie Medal, Hugo Award, and Locus Award winner The Graveyard Book (2006); and Interworld (2007, with Michael Reaves), plus YA story collection M Is for Magic (2007). 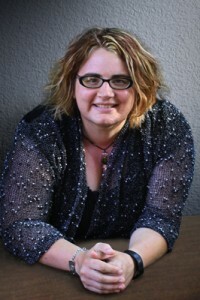 His many picture books – which are not all necessarily children’s books – include The Day I Swapped My Dad for Two Goldfish (1997), The Wolves in the Walls (2003), and Crazy Hair (2009), all illustrated by Dave McKean; Melinda, with art by Dagmara Matuzak; The Dangerous Alphabet (2008), with artwork by Gris Grimley; Blueberry Girl (2009) and Instructions (2010), illustrated by Charles Vess; Chu’s Day (2013), with art by Adam Rex; and Fortunately, the Milk (2013), illustrated by Skottie Young in one edition and Chris Riddell in another. He edited The Sandman: Book of Dreams (1996, with Edward E. Kramer), Stories: All-New Tales (2010, with Al Sarrantonio), and Unnatural Creatures (2013, with Maria Dahvana Headley). He curates the Neil Gaiman Presents audiobook imprint for ACX, bringing some of his favorite books to audio. Other books include Duran Duran: The First Four Years of the Fab Five (1984); Don’t Panic: The Official Hitchhiker’s Guide to the Galaxy Companion (1988); Who Killed Amanda Palmer: A Collection of Photographic Evidence (2009, with photos by Kyle Cassidy); and Make Good Art (2013). Gaiman also works in film and television. 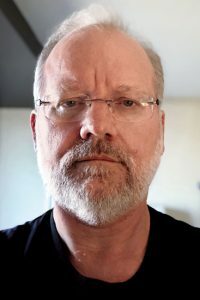 He adapted the script for the English dub of Japanese film Princess Mononoke (1997); wrote and directed A Short Film About John Bolton (2003); wrote Mirrormask (2005, with director Dave McKean); and wrote Beowulf (2007, with director Roger Avary). His own works have been adapted for film, notably Stardust (2007) and Coraline (2009), and he has written for Doctor Who, including Hugo Award-winning episode ‘‘The Doctor’s Wife’’ (2011). Gaiman has three adult children from his first marriage, to Mary McGrath. In 2011 he married musician Amanda Palmer. ‘‘My picture book Fortunately, the Milk is science fiction, or at least it has all the trappings of science fiction. It has aliens in it, it has dinosaurs, it has galactic police. It looks like a Roald Dahl book, one of those things with lots and lots of illustrations. There are two very different editions, one in the US illustrated by Skottie Young, one in the UK by Chris Riddell. Beautiful. It’s the silliest, funniest thing I’ve ever written. ‘‘I think I wrote Chu’s Day in 2009. The artwork was finished about a year ago, and it went onto the schedule for January. Make Good Art was a speech I gave last May which simply went viral online. It went huge. My agent was besieged by publishers saying, ‘Please, can we do it as a book?’, and we said, ‘Hang on, if anyone’s going to do it, it should be my publisher, not all of these other nice people.’ Chip Kidd designed it, and we got this beautiful package. What happened was, I gave a commencement speech at the University of the Arts in Philadelphia, basically for artists of all kinds, graduating. I thought, ‘Well, I’ve been an artist out there for 30 years making a living solely and only from stuff I wrote. I may as well tell them everything I know.’ That was the plan, and it was a good plan. 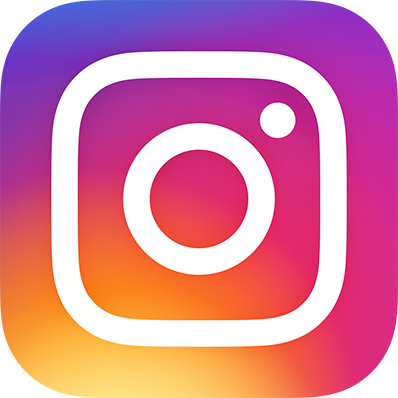 People liked it. With the book, I gave it to Chip Kidd – the best designer alive – and said he could do anything he wanted with it. Chip loved the idea in the speech: ‘Make great mistakes, make wonderful mistakes.’ He decided, probably intentionally given that he’s the best, to make all possible design mistakes in the book, and have a wonderful time doing it. Mostly my part consisted of backing him up, when for example upset people at HarperCollins pointed out that the title of the book is not actually on the front cover. The title of the book is Make Good Art by Neil Gaiman – people know what they’re holding, it’s okay. It’s glorious, it’s wonderful. It’s an art object in itself. That came out in May. ‘‘Also, Unnatural Creatures just came out, which is the benefit anthology I did. I had this weird idea of what sort of stories I wanted, and I selected the stories and got Maria Dahvana Headley involved. I’m so proud of it. Maria was wonderful – she came in and saved it. It was basically one of these weird things where the book was falling between two stools. It was a benefit book for 826 in DC, all of the money goes to them. So I chose the stories, but HarperCollins isn’t set up to contact author estates and get all of the permissions and rights necessary. When I signed up, I was told all I had to do was select the stories and write the introduction. 826 was supposed to handle all the permissions but in the end they said, ‘We don’t know how,’ and at the point where the book was about to be cancelled or incredibly delayed or whatever, I thought, ‘Who do I know who can help?’ Maria Headley. Smart, brilliant, good writer, good taste, and organized. She rescued me. I think there was only one story we wanted that we didn’t get into the book, by Eric Frank Russell. But I got everything else I wanted. There are a couple of new stories – Nnedi Okorafor did one, and Maria, and Megan Kurashige, who’s fantastic. Megan was one of my Clarion students, and I loved her stuff, but she’s a dancer. Mostly what she does is dance things. I said, ‘Well, have you got a story?’ She said, ‘I’ve got this thing.’ I said, ‘Finish it, type it up, and send it,’ and she did. ‘‘The Ocean at the End of the Lane was meant to be a short story. The guy dies, some weird stuff happens, they follow the weird stuff back to the source, sort it out, end of story. That was as far as I took it, but I started and it just didn’t feel like a short story. I sent an e-mail to Jonathan Strahan, who was editing an anthology, saying, ‘I’ve been writing this thing, but I don’t think it’s for you anymore. I think it’s going to be too long.’ At that point I thought it was a novelette. Then I remember deciding when it was definitely going to be a novel, because it was too long to be a novelette. Somewhere in there I sent an e-mail to my publishers saying, ‘This is awkward, it’s probably going to come in at about 40,000 words which is an impossible length to publish. I’m really sorry.’ Then I finished it, and I did a word count, and it was 55,000 words, and I went, ‘That’s actually a novel.’ Everything was there. ‘‘So I warned my publishers that it was now a novel, and also sent a really apologetic note because it was a novel that nobody had been expecting. People have publication schedules and plans, you don’t really want to surprise them. Technically the book wasn’t even contracted, it was like, ‘Sorry, here’s a book, please publish it.’ I have two wonderful editors, Jane Morpeth in the UK and Jennifer Brehl in the states, and they were both incredibly sanguine when I gave them a surprise book. They are both the most delightfully hands-off editors you could imagine, in that their editorial calls are small and precise and incredibly useful. My favorite one was Jane Morpeth clarifying for me when the maxi skirt came in, over the mini. There’s a mini and a midi in the book, but the maxi doesn’t come in until 1971 or 1972. 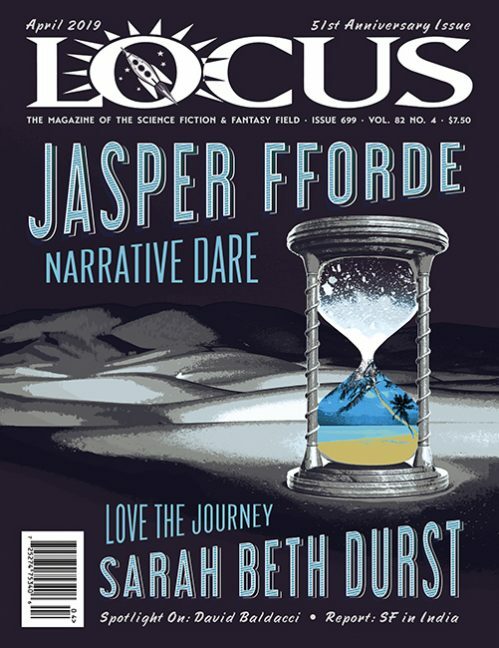 Read the complete interview, and biographical profile, in the July 2013 issue of Locus Magazine. Photo by Liza Groen Trombi. Such a snob. Part 17 of the Thwongor Cycle was the second-best book in the series!